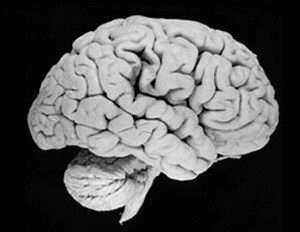 Modern human brain. Image source: Univ. of Wisconsin-Madison Brain Collection. Push-ups, crunches, gyms, personal trainers -- people have many strategies for building bigger muscles and stronger bones. But what can one do to build a bigger brain? Meditate. Sweet, I was just considering doing transcendental meditation. @Adam: This was my first thought also. I would be very interested in related research; i.e. Why meditation helps, what kind of meditation is most effective. "it's possible that the meditators already had more regional gray matter and volume in specific areas; that may have attracted them to meditation in the first place"
When people meditate, they report qualitative changes in psychological processes. That insinuates that might be changes at cellular level. Besides, meditation is difficult, most forms of meditation are an attention exercise i.e., people have to learn to focus. The report is good, but is old news, this has been known for a while. But good anyways. I hope this is continues and more research is done into meditation. I would like to learn meditation without going to either religious centers or questionable new age camps. It is hard to really find places to learn meditation which seem neutral of other issues. An exciting example of a prime role of consciousness in its relations with matter. Maybe, somewhen we can say "With a power of soul everything is possible". Specifically, meditators showed significantly larger volumes of the hippocampus and areas within the orbito-frontal cortex, the thalamus and the inferior temporal gyrus %u2014 all regions known for regulating emotions. The interesting question is where does this extra volume come from. The mind as it's nature, thinks. And it does this constantly -just start meditating and see how successful you are for the first week, lol... When the mind has the ability to relax, it regenerates. Memory increases, and so too do motor skills. I have been meditating for years, and have noticed that my memory both short-term and long-term have increased. As well meditation keeps me young because I have very little reactionary emotional baggage. Always being in the present moment allows one to adapt more readily to new situations, and keeps one young at heart. What did they use for a double-blind?